As you know, we love old movies. And of these, our most favorite must be Casablanca. Starring Humphrey Bogart and Ingrid Berman, this film is so beautifully done we could just watch it again and again! It was filmed during the middle of WWII, and ironically, no one expected it to be a hit—let alone one of the greatest movies ever made! It was nominated for 8 Academy Awards, winning for Best Picture, Best Director, and Best Writing for a Screenplay. [The] Film is splendid anti-Axis propaganda, particularly inasmuch as the propaganda is strictly a by-product of the principal action and contributes to it instead of getting in the way. There will be few more touching scenes to be found than when a group of German officers in Rick’s [Café] begins to sing Nazi tunes and [Bergman’s onscreen husband] Henreid instructs the orchestra to go into “La Marseillaise.” A bit frightenedly at first, but then with a might that completely drowns out the Germans, the [nightclub] patrons and [servers] in Rick’s give voice to the anthem of France of “Liberty, Equality, Fraternity.” It is just another facet of the variety of moods, action, suspense, comedy and drama that makes “Casablanca” an A-1 entry at the b.o. To our mind, the greatest picture we have ever seen! If it’s been awhile since you’ve seen this classic, we urge you to watch it immediately—a glorious evening! Last week we told you about all the wonderful movies we’ve been watching this summer and we wanted to add one more to the list: Orphans of the Storm, starring Lillian Gish and Dorothy Gish. This nearly 100-year-old silent movie is the story of two orphaned sisters during the French revolution. Despite the 3-hour length, we stayed glued to the screen—a testament to writer/producer/director DW Griffith, the Gish sisters, and their supporting cast. We knew the Gish sisters so well–they were friends of our parents and performed in many plays for The Theatre Guild! It is unbelievable how far cinema has advanced, but equally as amazing how much we can still enjoy the classics by tuning into Turner Classic Movies! We were reading a review yesterday in the New York Times about our dear friend, Christopher Plummer. He has a new movie, All The Money in The World, and it is just fantastic! Mr. Plummer can be an aloof, fairly cool screen presence and he chills Getty Sr. with cruel glints, funereal insinuation and a controlled, withholding physicality. A lot of actors soften their heavies, as if nervously asserting their own humanity. With Mr. Scott, Mr. Plummer instead creates a rapacious man whose hunger for wealth and power (and more money, always more) has hollowed him out and whose fatherly touch, at its most consuming, brings to mind Goya’s painting of Saturn eating his son. The horror of Getty Sr. is that he is never less than human, but that he’s hoarded everything, including every last vestige of love, for himself. It’s a magnificent portrait of self-annihilation. Of course, we aren’t surprised by this—we have known Chris for a very long time and we’ve seen him in many memorable performances. 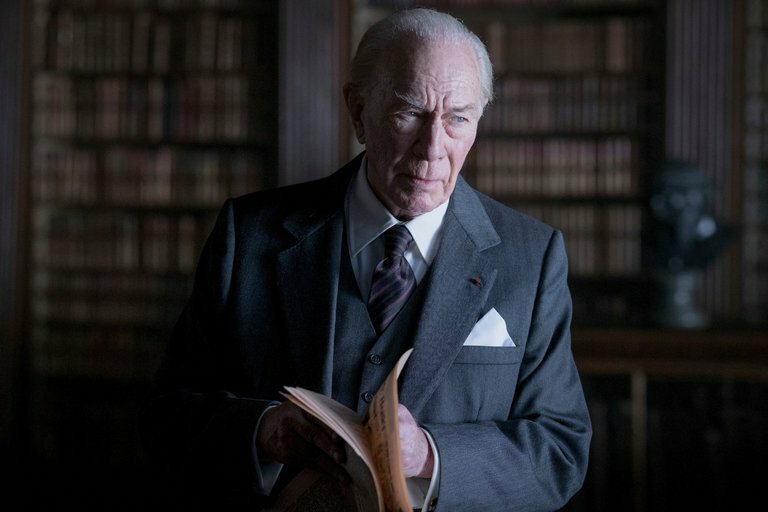 All The Money in The World is showing at a movie theater near you. We have just seen the movie La La Land and it is a once-in-10-years kind of movie! The two actors—Emma Stone and Ryan Gosling—are incredible and have delivered the movie of the year (or perhaps 10 years?). La La Land won 7 Golden Globes, including Best Motion Picture—Comedy or Musical and Best Performance by Actor in a Motion Picture—Comedy or Musical (Gosling) and Best Performance by Actress in a Motion Picture—Comedy or Musical (Stone). It is still showing in movie theaters. Click on the picture for the full review from Peter Travers in Rolling Stone. We Still Give A Damn! We were reading in our AARP Magazine a fabulous article about Gone With The Wind. This incredible movie from 1939 still holds the title of the best movie ever made! 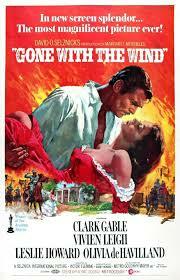 We salute Gone With The Wind on 75 years of amazing and unparalleled entertainment! Audiences still frankly give a damn about the lavish Civil War epic “Gone With the Wind” 75 years after its release.When adjusted for inflation, the Oscar-winning romance remains the domestic box-office champ with a gross of $1.6 billion. The 220-minute Technicolor film received a record 13 Oscar nominations, winning eight competitive Academy Awards, including best film, actress (Vivien Leigh), supporting actress (Hattie McDaniel) and director (Victor Fleming). With a production cost estimated between $3.85 million and more than $4 million, it was the longest and most expensive Hollywood sound film of the time.More than 30 million copies of Margaret Mitchell’s 1936 Pulitzer Prize-winning novel, on which the film was based, have been sold. The film has been re-released eight times, been a staple on television since the 1970s and a bestseller on video, DVD and now Blu-ray. Despite criticism and controversy over the film’s racial stereotypes — the slaves in the film are happy, and McDaniel’s Mammy is a welcome member of the family and loyal servant — “Gone With the Wind” continues to have a special, if troubling, place in the hearts of American filmgoers. Long before social media, the buzz surrounding the film version of “GWTW” was astonishing. After independent producer David O. Selznick brought the rights to the book, “GWTW” fans waited on every story coming out of Hollywood about the production, particularly about who would play the willful and beautiful Scarlett O’Hara, the belle of the Tara plantation. Though such stars as Joan Crawford, Carole Lombard and Katharine Hepburn were among those considered to play Scarlett — about 1,400 actresses were interviewed — Selznick chose British actress Vivien Leigh, who had made a few films, to play the lead role. Fan favorite Clark Gable was selected to play Rhett Butler, the rakish Charlestonian who pursues her, and British actor Leslie Howard was cast as Scarlett’s obsession, the glum Ashley Wilkes. Olivia de Havilland, best known for ingenue roles opposite Errol Flynn, landed the plum role as Wilkes’ sweet cousin and wife, Melanie, and McDaniel was chosen to play the O’Haras’ beloved and opinionated Mammy. Jewell noted the film was brilliantly cast. “Clark Gable was absolutely the right person to play Rhett Butler. Every actress in Hollywood wanted to play Scarlett. The fact that they went with a relatively unknown and she turned out to be the incarnation of Scarlett. It’s like a baseball team when one day every one gets a hit. The conversation about “GWTW’s” treatment of slavery, race and a benign antebellum South was particularly heated over the last year with the release of 2013 best picture Oscar winner “12 Years a Slave,” which depicted the brutality of slavery. Jim Crow laws were in full force in the South 75 years ago. McDaniel and the other black cast members couldn’t attend the premiere in Atlanta on Dec. 15, 1939. Gable had threatened to boycott the premiere but was persuaded by McDaniel to attend. The Life book reveals that during production, Gable had also protested when he learned there were segregated toilets on one of the sets, promising not to return if they were still there the next day. They weren’t. African Americans protested the film when it opened in major cities. Black playwright Carlton Moss stated in the Daily Worker found Mammy’s love for the white family “that has helped to keep her people enchained forever” particularly reprehensible. TCM host and film historian Robert Osborne believes “GWTW” has endured because of its emotional resonance. “It’s about survival,” he said. “It hit the world in the ’30s when Europe was going to war and just before we went into the war. Also, everybody has had somebody in their life that they loved more than they loved them back.